If you Googled ‘towbars Melbourne’ or ‘towbars Dandenong’, look no further than Daalder Exhausts and Towbars. For more than 35 years, we have been supporting local residents with our comprehensive suite of specialist towbar services, all at the most competitive prices. We are proven experts in all aspects of tow bar installation, and have become renowned for the quality of our workmanship and speedy turnaround times, all at the most affordable prices. Our people are on-hand to provide honest and straightforward advice about the best towbar to suit the unique requirements of your vehicle and lifestyle. There’s a lot to consider when identifying the most appropriate towbar for you. From standard to heavy duty, your choice will depend on the make and model of your vehicle, and what you intend to tow. Firstly, you will need to consult your owner manual to establish the towing capacity of your vehicle. This should give you towing weights in kg for either braked or non-braked trailers. Next up, you’ll need to work out the total weight of what you want to tow, including the trailer and anything you wish to transport inside it. Alternatively, simply contact Daalder Exhausts and Towbars, and we’ll work with you to find the most appropriate solution! Standard towbars have a bolt on tongue and are typically used for ‘Standard Duty’ towing up to 1250KG. All towbars have to comply with Australian Design Rules ADR63. 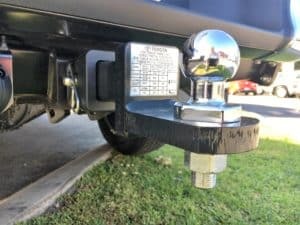 Heavy Duty Towbars, also known as Hitch Receivers, are suitable for ‘Heavy Duty’ towing and have a square hole to accommodate either a removable tow ball or weight distribution hitch. 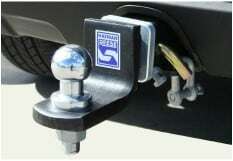 Heavy Duty towbars have a towing capacity of 1500kg to 4000kg. 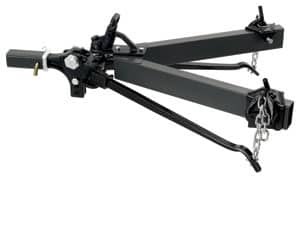 Weight distribution hitches evenly distribute weight over the entire area of the towing vehicle and trailer, resulting in a more controlled and stable drive. We offer a comprehensive range of towbar accessories. 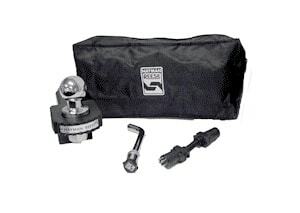 These include towballs, sway controllers, electronic brake controllers, wiring adaptors and sockets, hitch receiver plugs and security locking options. And if we don’t have what you’re looking for in stock, our vast network of industry contacts will allow us to find it for you quickly and affordably. The Daalder team is committed to providing the best towbar installation Melbourne or Dandenong has to offer. Our team is made up of fully-qualified and highly-skilled tradespeople with a combined 100 years of industry experience! We work only with industry-leading products, from trusted names such as Hayman Reese, Redback, Boronia and Carline. All tow bars comply with Australian Design Rules ADR63, and come with national warranties as standard. We have the people, tools and experience to conduct every type of towbar installation to the highest possible standard. We strive to offer the most outstanding levels of customer service. We’ll work with you to ensure a tailored towbar solution that perfectly meets your requirements. 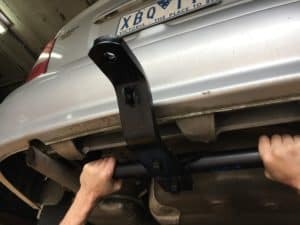 Over the past three-and-a-half decades, Daalder Exhausts & Towbars has become renowned across Melbourne and Dandenong for the supply, installation and replacement of all types of towbar. We are family-owned and proudly remain a local business for local people. Looking for guidance on the best towbar that should be fitted to your vehicle? Call Daalder Exhausts & Towbars today on (03) 9791 8455! We’ll discuss your requirements, provide honest and straightforward advice, and identify the perfect solution for you.